Keep your home or business safe from insects and other critters with our pest control services. With more than 10 years of experience in the industry, the team at our pest control service has the skills and resources to handle a wide array of insect problems, as well as rodents and other unwanted animals. We are committed to helping South Floridian residents feel at ease on their property. In order to better serve our diverse clientele, we have Spanish-speaking exterminators on staff are happy to help those who are not fluent in English. Looking for a Fumigation Service? 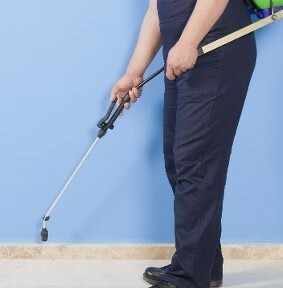 When an infestation takes over your home or business, fumigation is often the best route to reclaiming your property. Turn to our experts for a fumigation service that is both safe and effective. Even though the fumigation process takes time, we make the experience as stress-free as possible. In most cases, our fumigation service is used to exterminate termites and beetle species that cause significant damage to wood. These types of insects can burrow deep into your building, making it difficult for us to reach using traditional extermination methods. When standard termite services are not enough to end your bug problem, fumigation is recommended. Our fumigation service is fairly straightforward. First, the infected are must be covered so that all chemicals remain inside. After all humans and pets have left the building, pesticide is pumped into the structure. These chemicals steep for a while—typically one to three days—so that the pesticide works on all the hard-to-reach areas. Once time is up, the building is de-fumigated, the coverings are removed, and one of our experts checks the property to ensure the infestation has been properly dealt treated. Just because you love wildlife, doesn’t mean all of them are welcome in your home. You can count on our company for humane but effective wildlife removal and control. When you notice signs of a rodent infestations or another animal making itself at home on your property, reach out to us for removal services. Our experts will carefully remove the animal from your premises without causing harm to the creature or your property. Our company offers several humane methods to remove wildlifeand to prevent them from taking over your home. Talk to our staff members about your specific concerns, and we will implement a plan of action. In addition to serving residential clients, we also provide wildlife removal and control to commercial properties. Contact our pest removal company to request pest control services for your home or business. We proudly serve Miami Beach, Kendall, Homestead, Coral Gables, Ft. Lauderdale and Key Biscayne, Florida, as well as the surrounding areas.